Jimmy Butler thinks the Minnesota Timberwolves are in a "big-time hole" and questioned some of his team-mates' ability to take criticism in a way that will help them improve. The Timberwolves slipped to 4-9 on Friday with a 121-110 defeat to the Sacramento Kings, bringing an end to a five-game winless road trip. Butler's trade request amid a falling out with members of the team meant Minnesota started the season under a cloud, and Derrick Rose suggested a change in attitude towards feedback is needed after their latest setback. "It's about understanding one another and having that chemistry where you could give someone good or bad criticism," Rose said. "There's nothing wrong with coming up to your team-mates, tapping them when he's doing something wrong, doing something right and vice versa." 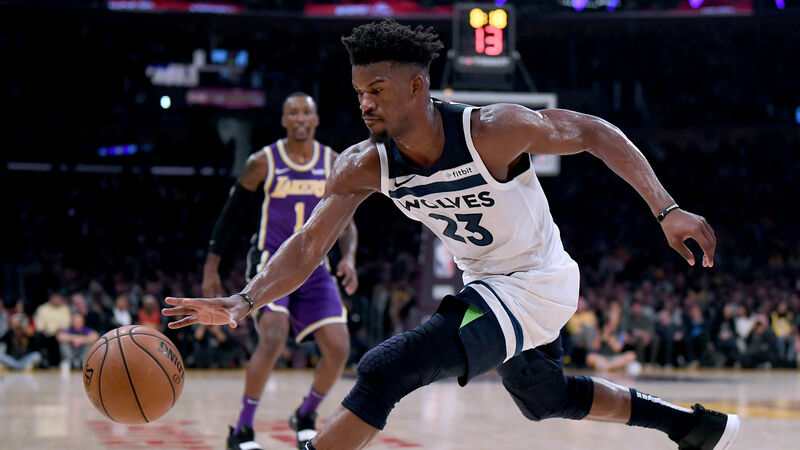 Four-time All-Star Butler agreed with the 2011 MVP but suggested not all personalities within the Timberwolves' locker room have the same mentality. He said: "Do I agree with it? Yeah. But I don't think everybody can handle it. I don't. I know actually. But I'm with him on it. "Everybody's got to talk to one another and be able to handle it if somebody says something they may not like. We're all grown men. "If we want to win, we've got to figure out a way to fix this whole thing. But it's a day at a time. We're in a big-time hole right now, that's for sure. But we [have] got a lot more games." Rose added that younger members of the Minnesota roster may be struggling to perform due to their knowledge of Butler's desire to leave. "I've been through enough trials and tribulations myself. I just try to stay focused. I just come in, be a professional and let the front office and whoever is involved handle it," said Rose. "Young players [might not be able to put trade rumours to one side]. But to each his own. Everybody handles everything different. If anything, I think everybody is just watching and trying to see how it's going to play out, or if anything learn from it."